Ihre Anfrage wird in den nächsten 48 Stunden bearbeitet. 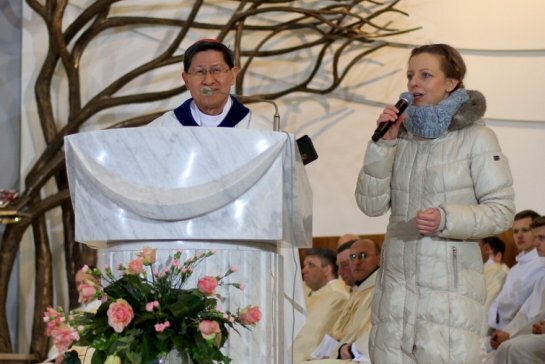 The II International Congress of Religious Tourism and Pilgrimages started on the 8th November 2018 with a Holy Mass celebrated by the priests that participated in the congress for the whole group of circa 100 touroperators from 30 countries in the new built Sanctuary of St. John Paull II in Biale Morza - Krakow. At 10 a.m. we started working (lectures, presentations). We had 250 persons in the audience: 100 participants from 30 countries and 150 guest from Krakow and Poland. 2nd International Congress of Religious Tourism and Pilgrimages - the afternoon of the 2nd day (8th November) was dedicated to an expo, a tourism fair, where the buyers (about 100 travel tour operators from more than 30 countries worldwide) could meet local, national and international offer (there were about 40 stands). Thousands of talks, opinions and experiences shared and expressed. After the presentations, lectures and expo day we started our study tour (fam trip) in Krakow and surroundings. On the 9th November we went to visit the former German Nazi Concentration and Extermination camp Auschwitz-Birkenau. This visit is always very sad but absolutely necessary. After having visited Auschwitz-Birkenau in the morning we went to Czestochowa in the afternoon. We visited the most important shrine in Poland - Holy Virgin Mary called by the Poles "Black Madonna". On the 3rd day of our congress-fam trip we had 3 visits: the first one was to Kalwaria Zebrzydowska, the shrine of the Virgin Mary on the UNESCO World Heritage List. Our 3rd day finished in Wieliczka Salt Mine: we visited this fantastic place (also on the UNESCO World Heritage List) and we had a gala dinner with a concert of Polish folk musice. We enjoyed it very much! On the last day of our congress we have visited the most beautiful city of Poland - Krakow. It was 11th of November - Polish National Independence Day, what is more, this year we could have seen, how Poles celebrated their 100th anniversary of Independance dating back to the 11th Nov 1918. Wir freuen uns, Ihnen mitteilen zu können, dass der 2. Internationaler Kongress für Religionstourismus und die Wallfahrten unter den Namen: "Nach den Spuren der Heiligen Schwester Faustina Kowalska" vom 7. bis 11. November 2018 in Krakau stattfinden wird. Krakau und Kleinpolen verfügt über das riesengroße Potenzial, was den Religions- und Pilgertourismus betrifft. Das bestätigen nicht nur Millionen von Pilgern und Touristen, die hierher jedes Jahr kommen, aber auch verschiedene Veranstaltungen, wie der im Jahr 2016 stattgefundene Weltjugendtag oder auch der Erfolg des 1. Internationelen Kongresses für Relligionstourismus und die Wallfahrten, der vom 8-12 November 2017 stattgefunden hat. Der Kongress gilt als einziger Ereignis in diesem Teil Europas, der so viele Fachleute aus dem Bereich Religionstourismus und Pilgerfahrten zusammenbringt. Im Jahre 2017 kamen etwa 200 Touroperators sowie Pilgerfahrtenveranstalter aus fast 30 Ländern. Die Mehrheit kam aus Spanien, gefolgt von Italien, aber auch es gab zahlreiche Gruppen von Veranstaltern aus den USA, Canada, Deutschland, Österreich, Argentinien, Paraguay, Frankreich, Maleysien, Japan sowie aus den anderen Ländern. "Wir können sehen, wie die neue Veranstaltung in den Kalender der internationalen Events in Krakau eintritt: Branchentreffen von Spezialisten aus dem Religiösen- und Pilgerbereich" - sagt Ernest Mirosław, der Organisator des Kongresses und der Besitzer eines lokalen Incoming Tour-Operators Ernesto Travel, der ein führender Reiseveranstalter auf dem religiösorientierten Tourismusmarkt ist. "Wir sind davon überzeugt, dass die zweite Ausgabe des Kongresses mit noch größerer Dynamik und Beteiligung der regionalen und nationalen Organisationen stattfinden wird. Mehrere hundert Menschen aus aller Welt werden zu dem Kongress kommen, um das Wissen zu erobern, wie man Ausflüge und Pilgerreisen nach Krakau, Kleinpolen und Polen organisiert. Letztes Jahr, trotz der Tatsache, dass ich den Kongress zum ersten Mal organisiert habe, kamen 200 Reiseveranstalter nach Krakau. In diesem Jahr habe ich mich auf 500 Personen eingestellt. Ich würde mir auch wünschen, dass die Teilnahme der Gäste ausser Europa stärker gewesen wäre: deswegen wird de Werbung viel früher gemacht." Der Kongress wird am 8. November von den beiden säkularen und klerikalen Behörden Krakaus eröffnet. Eine heilige Eröffnungsmesse wird im Johannes-Paul-II-Zentrum gefeiert, gefolgt von Reden, Vorträgen und einem Workshop (expo) mit den Vertretern der örtlichen Heiligtümer und Touristenattraktionen. Am 9. sowie am 10. und 11. November wird eine Chance für die Gäste aus der ganzen Welt sein, Krakau und Malopolska-Gebiet zu besuchen (Krakauer Altstadt, Johannes Paul II. Zentrum, Sanktuarium der Barmherzigkeit Gottes, Salzbergwerk in Wieliczka, ehemaliges deutsches Nazi-Konzentrationslager Auschwitz-Birkenau, die Kirche und das Museum von Wadowice - Karol Wojtylas Geburtsort, das Basilikum in Kalwaria Zebrzydowska und das Schwarze Madonna Heiligtum in Czestochowa). Der Kongress zielt darauf ab, ein Treffpunkt zwischen den Reiseveranstaltern und den lokalen Anbietern zu sein, sowie die Region Krakau und die Malopolska als wichtiges religiöses Tourismus- und Wallfahrtsort nicht nur in Europa, sondern auch weltweit zu fördern, um die Bedeutung des religiösen Tourismus zu stärken innerhalb des Tourismusmarktes. Die Organisatoren laden ausländische Reiseveranstalter und Touroperators, Blogger und Journalisten, Bischöfe und Priester sowie andere religiöse Tourismus- und Pilgerorganisatoren wie Diözesankoordinatoren oder die Führer der Stiftungen und Gemeinden ein, die Reisen und Pilgerfahrten nach Polen organisieren möchten (buyers). Andere Einrichtungen wie Selbstverwaltungen und Organisationen, die Städte oder Regionen fördern, Kultstätten - Wallfahrtsorte, Touristenorte, Museen usw. können als Verkäufer (sellers) am Kongress teilnehmen. Wir sehen uns in Krakau! 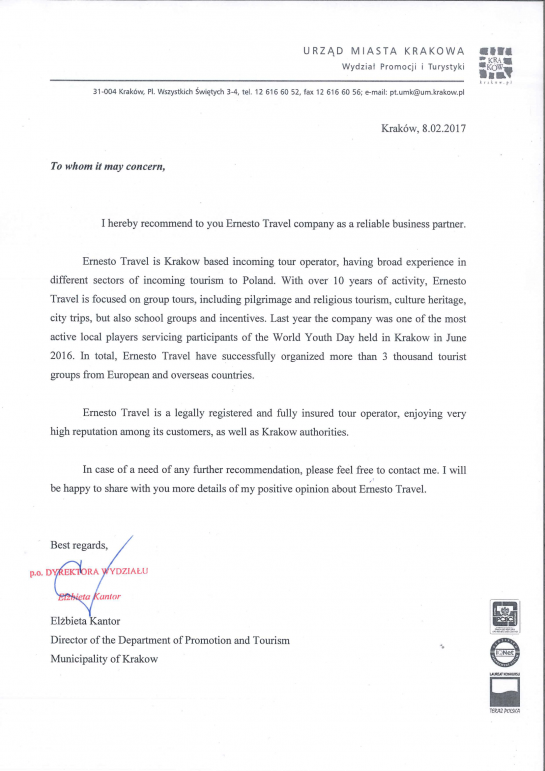 We are proud to announce that Ernesto Travel has been recognised by the International Network of Religious Tourism Agencies (REDITUR) as an agency specialised in religious tourism organisation & commercialisation in Poland and Central Europe. What's more, we are the very first Polish agency to be honoured by the REDITUR and which is allowed to use its logo! 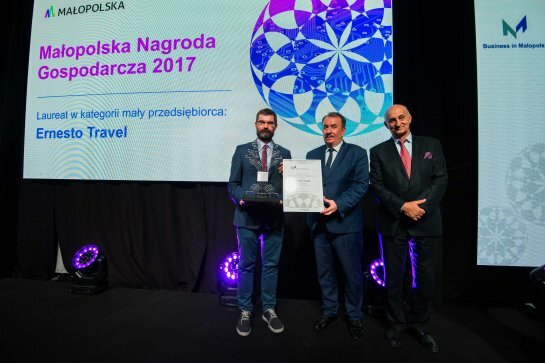 Ernesto Travel, Conhpol and Grupa Kęty are winners of this year’s Małopolska Business Award in the categories of small, medium and large entrepreneur. 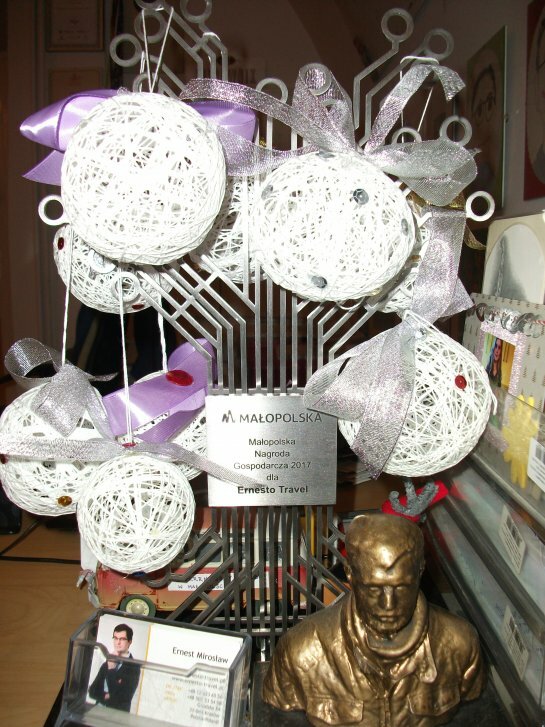 The special prize, in turn, was awarded to the Kraków Technology Park. It is these companies that are the leaders of entrepreneurship in the region - they create trends, set development directions for others and without complexes compete on foreign markets. During the ceremonial gala the prizes were given to the winners by the Marshall of Małopolska, Wojciech Kozak: "The Małopolska Economic Award is an award dedicated to those, without which the economic development of Małopolska would not be possible. Their success testifies to the fact that our region has significant economic potential and great development opportunities "- said the deputy speaker during the gala. The goal of the award, since its foundation in 2009 is to promote the best entrepreneurs from Małopolska and to inspire their development, promote pro-investment attitudes and concrete innovative achievements and increase competitiveness among entrepreneurs. 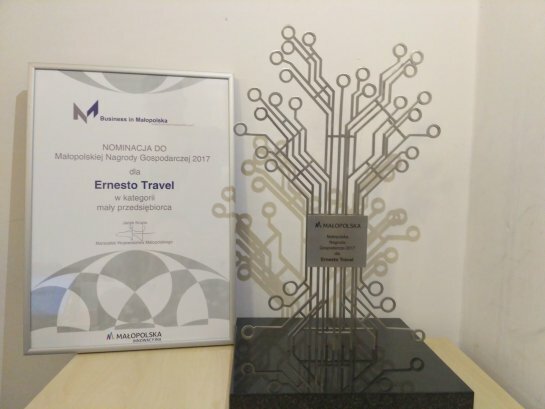 The winner of the Małopolska Business Award 2017 in the Small Entrepreneur category was Ernesto Travel company: the company has been operating on the Małopolska market since 2006. The main aim of this tour operator is to attract foreign tourists to Lesser Poland (Malopolska) and other regions of our country. They are a leader in religious and pilgrimage tourism in Poland. They organised the stay of some 16.000 pilgrims during the World Youth Day and 22.500 travellers during the whole 2016. During the last 3 years of the agency’s operation, they organised trips to Malopolska for people from over 50 countries. A month ago, Ernesto Travel organized the first International Congress of Religious and Pilgrimage Tourism, a unique event in Poland and in this part of Europe. 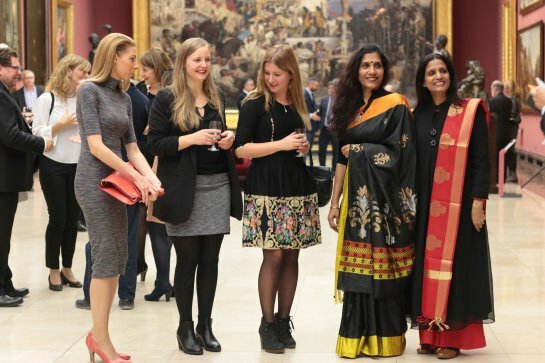 It was visited by 200 tour operators and organizers from 30 countries. This event, although organized for the first time, has become the most important and the biggest event on the market of meetings of incoming tourism professionals to Poland. 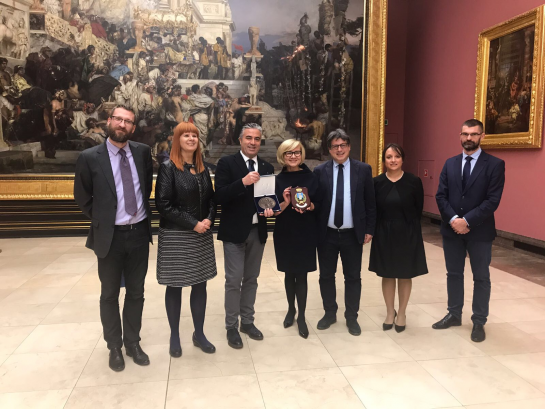 It is worth noting that Ernesto Travel is the only company from the tourist industry that received the Małopolska Economic Award in the 9-year history of its award. The awarded companies have the right to use in all company and promotional materials the title: "Laureate of the Małopolska Business Award 2017". In addition, they are applied by the Marshal of the Lesser Poland Voivodeship to the Economic Award granted by the President of the Republic of Poland. The 1st International Congress of Religious Tourism and Pilgrimages "Following the footsteps of Saint John Paul II" has come to a successful end last Sunday, November 12th, 2017. It was supported by His Em. Card. Stanislaw Dziwisz, His Em. Abp Marek Jędraszewski and the director of the Polish Tourist Organisation. 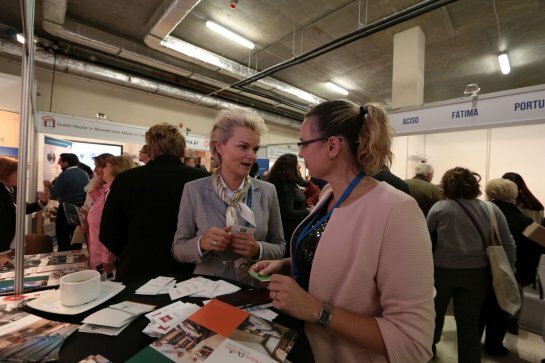 This event, unique for Central and Eastern Europe, attracted almost 200 tourism professionals, travel agents, touroperators who work in the Religious Tourism and Pilgrimages Sector, from more than 30 countries. The highest numbers represented the Spanish, followed by the Italian, but some more distant countries attended, too. Let us mention Japan, Malaysia, Paraguay, Argentina, USA, Canada, Israel and many other countries (mostly European). We received many positive comments during and after the Congress. 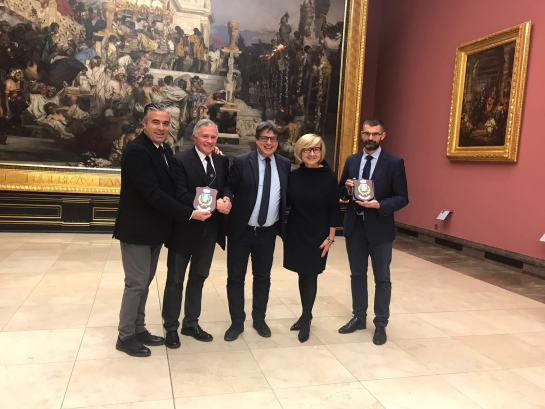 They expressed satisfaction and gratitude to the organisers of this event, stressed the professionalism, talked about the possibilities that the tourist and religious attractions of Krakow and Malopolska (Krakow Region) have to offer. Only during the Congress, some 30 groups were booked for the coming year; we are all aware that the success of this event will be long-lasting. 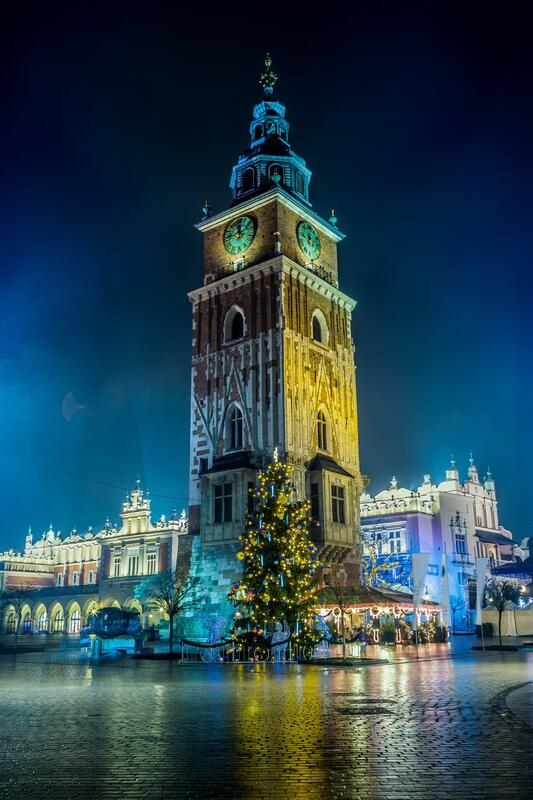 The aim of the Congress was to promote Krakow and Krakow region as an important religious tourism destination worldwide and to prove the importance of the religious tourism within the global tourism industry. The Congress was inaugurated on the November 9th, at the Saint John Paul II Center in Krakow, by the Krakow City authorities and the representatives of Krakow Archdiocese. The opening Holy Mass was celebrated by Bp Tadeusz Pieronek and 11 priests, participants of the Congress. The morning was dedicated to speeches, lectures, presentations and meetings with the representatives of 23 different places and companies: sanctuaries, tourist places. The following days - 10th and 11th November were spent visiting Krakow (the Old Town, John Paul II Centre, Divine Mercy Shrine) and Malopolska Region (Wieliczka Salt Mine, Auschwitz Concentration Camp Memorial in Oswiecim, John Paul II Family Home Museum in Wadowice, the Sanctuaries of Kalwaria Zebrzydowska and Czestochowa - the Black Madonna). The Partners of the Congress all involved for the success of the Congress: the Municipality of Krakow, Malopolska Voivodeship (Region), Malopolska Tourist Organisation, Wieliczka Salt Mine, John Paul II Family Home, John Paul II Centre "Have No Fear", the Sisters of Our Lady of Mercy, the Pastoral House of the Divine Mercy Shrine in Łagiewniki, Krakow. The Congress was organised in cooperation with the hotels: Park Inn, Galaxy, Plus Q, INX Design, Vienna House Easy Chopin from Krakow, Mercure and Ib1st is - DeSilva hotels in Czestochowa, Imperiale Hotel in Oswiecim (Auschwitz), as well as restaurants: St Faustina Home, Pastoral House at Łagiewniki, Morskie Oko and Biała Róża in Krakow, coach companies Manifold and Luca Tour. The Congress was sponsored by Signal Iduna, Bank PeKaO SA, Restaurant Wierzynek. The media partners included Rynek Turystyczny, Wiadomosci Turystyczne, Tur-Info, Central de Receptivos, Viagens da Fé, ObiektySakralne.pl and some European editors who sent their reporters. 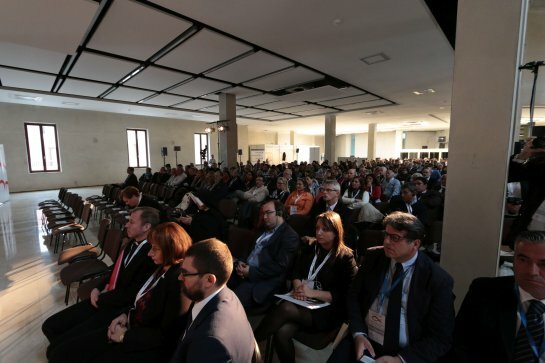 The Congress was visited by the representatives of Fátima and San Giovanni Rotondo. 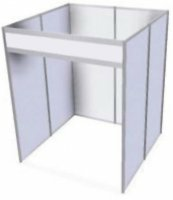 The next ICoRTaP Congress edition is scheduled for November 2018. Thank you so much for an excellent visit to Krakow! I have learnt so much over the last few days and I can’t thank you enough for allowing me to be part of this. I have much to think about and will try and formulate some tour ideas to discuss with you – but I need some sleep first! You created a hugely successful event and you should all be very proud of what you have achieved. Please don’t listen to any moans that you might get. Yes it was hard work but that is what we were there for, to see and do as much as possible in a short time. Thank you once again for the wonderful arrangements and giving us an opportunity to see your beautiful country. Your team a did a excellent job of co-ordination and also educated us on a lot of details to do with tourism. Will not forgetting to mention the excellent services also provided by the drivers, guides hotel staff etc. We assure you of supporting tourism in Poland and will surely write to you for our queries. We wish and hope that you continue to be the best and look forward to doing business with you soon. Thank you for a lovely trip. I would like to wish you all the very best and you have lovely staffs. For me it was a lovely experience to see Krakow and how beautiful the country is. I will get Simon to put up some of your tour itinerary’s on our website. We are a bit tired right now and will get back to you for some itinerary’s once we are settled. On the behalf of our team we would like to thank you for all the organization, planning and welcoming in Krakow. Despite an intensive and very interesting programme of activities, it was our great pleasure in joining in and learning so much more about your historically and culturally rich country and city. As I had mentioned to Deborah on the meeting after the talks, we have two groups planning to travel to Krakow in 2018. I’ll be emailing you the temptive dates and itineraries this week so we can start working on the quotes and details. Please give our warmest regards to the “guides” and drivers from bus 3 for their patience and resilience. Thank you very much for your invitation. I have participated on Thu morning session and I was pleasantly surprised, how interesting event and audience you have organized and brought to Krakow. for Italien market, Aleksandra. 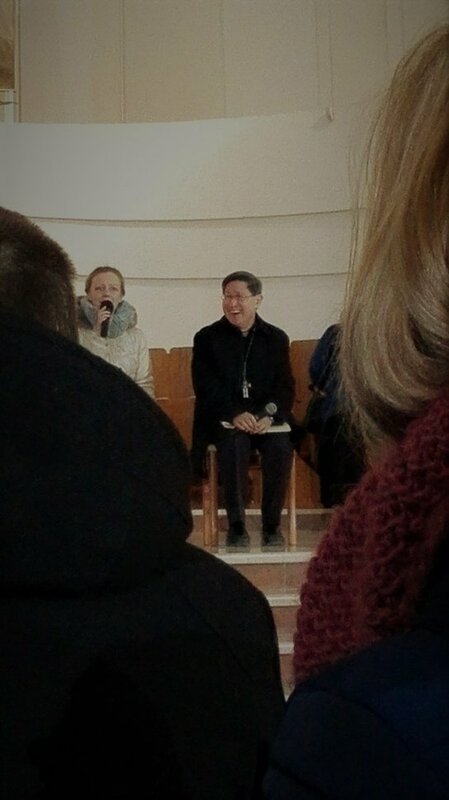 I have left by her "greetings from Brno" for you. "There is no end to adventures we seek if only we can explore them with open eyes." I want to let you know that I had a save jouney back home. I want to thank you and the entire Ernest Travel team for the congres. I had some very interesting contacts with you and your team, so I am sure that we will keep in touch for our pelgrimage in 2019 (we don't have a pilgrimage planned in 2018). Again thank you for those five days. Thank you very much for the organization of this congress. It was my first trip to Poland and I was surprised by the beauty of the city of Krakow. The visits in French were very great, with each time a very good tour guide. The quality of the hotel was excellent, and the restaurants and food as well. -the service in the restaurants (especially the first lunch on Thursday and the last dinner on Saturday) was too slow, and it was too bad that on Thursday we did not have the time to visit the Divine Mercy Sanctuary. But thankfully we could visit it on Saturday ! -The translation in the bus was for the first day only in Spanish, and it was sometimes a bit frustrating not to understand what was saying. But then on the following day, we had the translation in English as well. I hope you are fine after this busy week !!! Thank you to all the members of your team as well. I am waiting for our next work collaboration. Warum schon jetzt die Reise im Dezember buchen? 2. Bis Ende August kann man die Reise im Sparpreis buchen! finden Sie das Programm mit den Preisen für 2 sowie 3 Nächte. Warum ist Krakau im Dezember interessant? 1. 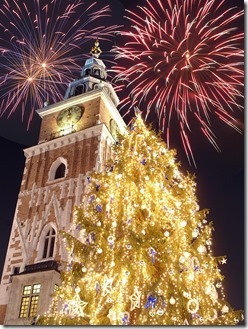 Krakauer Weihnachtsmarkt ist einer der schönsten in Polen und im Mitteleuropa. 2. Er befindet sich am größten Marktplatz Europas, neben der berühmten Tuchhallen. Jedes Jahr kommen viele Touristen und Einheimische um dort leckeren Glühwein zu trinken, leckere Köstlichkeiten zu probieren oder einfach handgemachte Kunstwerke und Souvenirs zu kaufen. 3. In Krakau gibt es sehr viele Einkaufszentren, wo man alles, genau alles kaufen kann. Übrigens sind alle Geschäft sonntags offen. Buchen Sie jetzt Ihren Flug und schicken Sie uns per E-Mail Ihre Anmeldung. Je schneller, desto günstiger. Und noch ein Bonus: Kennen Sie schon die Webseite azair.eu - hier kann man schnell die günstigen Flugverbindungen finden! Wir freuen uns, Ihnen mitteilen zu können, dass der 1. Internationaler Kongress für Tourismusseelsorge und die Wallfahrten unter den Namen: "Nach den Spuren des Heiligen Papstes Johannes Paul II." vom 8. bis 12. November 2017 in Krakau stattfinden wird. Die Stadt Krakau mit dem Stadtpräsidenten, Prof. Jacek Majchrowski ist der offizielle Partner des Kongresses. Auch seine Em. Kardinal Stanislaw Dziwisz bestätigte seine Anwesenheit. Der Marschall der Region Malopolska übernahm die Schirmherrschaft des Kongresses. Über andere Partner und Ehrenpatenschaften werden wir Sie noch informieren. Krakau und das Malopolska-Gebiet haben ein großes Potenzial in der Entwicklung des religiösen Tourismus. Jedes Jahr werden sie von Millionen von Pilgern und religiösen Touristen besucht. Lassen Sie uns nur den letzten Weltjugendtag nennen, der hier in Krakau im Jahr 2016 stattfand. Diese Zahlen spiegeln sich in den Gewinnen und auch in den neuen Arbeitsplätzen, die hier vor Ort enstanden, wider. "Wir sehen ein rieses Bedürfnis, dass es eine neue Veranstaltung in Krakau organisiert werden muss: ein Branchentreffen von Spezialisten aus dem religiösen Tourismus- und Wallfahrtsmarkt" - sagt Ernest Miroslaw, der Organisator des Kongresses und der Besitzer eines lokalen Incoming Tour-Operators Ernesto Travel, der ein führender Reiseveranstalter auf dem religiösorientierten Tourismusmarkt ist. "Derzeit ist kein solches Ereignis in Mittel- und Osteuropa organisiert. 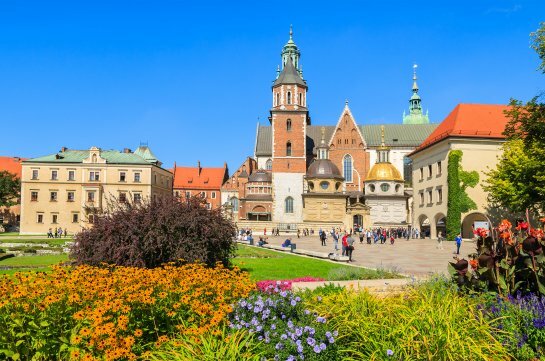 Ich denke, es kann ein perfektes Vorbereitungskurs vor der UNWTO-Konferenz im Jahre2018 sein, die auch in Krakau stattfinden wird und dem Tourismusseelsorge gewidmet ist. Wir haben bereits an vielen ähnlichen Kongressen und Konferenzen teilgenommen, diesmal hoffen wir, hier in Krakau und Malopolska mehrere hundert Personen aus der Branche zu begrüßen: Tourismus-Spezialisten, Tour-Operators, Priester und andere, die in der Tourismus- und Pilgerseelsorge tätig sind "- sagt Dominika von Ernesto Travel, die Initiatorin des Kongresses. Der Kongress wird am 9. November von den beiden säkularen und klerikalen Behörden Krakaus eröffnet. Eine heilige Eröffnungsmesse wird im Johannes-Paul-II-Zentrum gefeiert, gefolgt von Reden, Vorträgen und einem Workshop mit den Vertretern der örtlichen Heiligtümer und Touristenattraktionen. Am 10. sowie am 11. November wird eine Chance für die Gäste aus der ganzen Welt sein, Krakau und Malopolska-Gebiet zu besuchen (Krakauer Altstadt, Johannes Paul II. Zentrum, Sanktuarium der Barmherzigkeit Gottes, Salzbergwerk in Wieliczka, ehemaliges deutsches Nazi-Konzentrationslager Auschwitz-Birkenau, die Kirche und das Museum von Wadowice - Karol Wojtylas Geburtsort, das Basilikum in Kalwaria Zebrzydowska und natürlich das Schwarze Madonna Heiligtum in Czestochowa). Die Organisatoren laden ausländische Reiseveranstalter und Touroperators, Blogger und Journalisten, Bischöfe und Priester sowie andere religiöse Tourismus- und Pilgerorganisatoren wie Diözesankoordinatoren oder die Führer der Stiftungen und Gemeinden ein. Weitere Informationen finden Sie auf der Website des Kongresses: www.ICoRTaP.com International Congress of Religious Tourism and Pilgrimages. Sanktuarium der Barmherzigkeit Gottes – Krakau-Lagiewniki. Wochenende in Krakau am Anfang Mai? Gefällt mir! Wir möchten Ihnen unser Last-Minute-Sparangebot präsentieren: 5 Tage in der ersten Woche Mai in Krakau! Das Paket beinhaltet: 4 Nächte in einem 4* oder 3* Hotel im Stadtzentrum von Krakau mit Buffetfrühstück, Transfers: Flughafen - Hotel - Flughafen, Besuch im Museum Auschwitz-Birkenau und Wieliczka Salzbergwerk. Andere Leistungen auf Anfrage. Möchten Sie 2 oder 3 Nächte in Krakau verbringen - schicken Sie uns Ihre Anfrage - den Preis werden wir Ihnen per E-Mail schicken! Am 2. April 2017 werden wir Papst Johannes Paul 2. gedenken, denn es ist der12. Todestag vom polnischen Papst. Da wir uns in den Pilgerfahrten besonders spezialisieren, möchten wir Ihnen daran erinnern, dass Sie mit unserem Büro thematisierte Wallfahrten organisieren können, z.B. 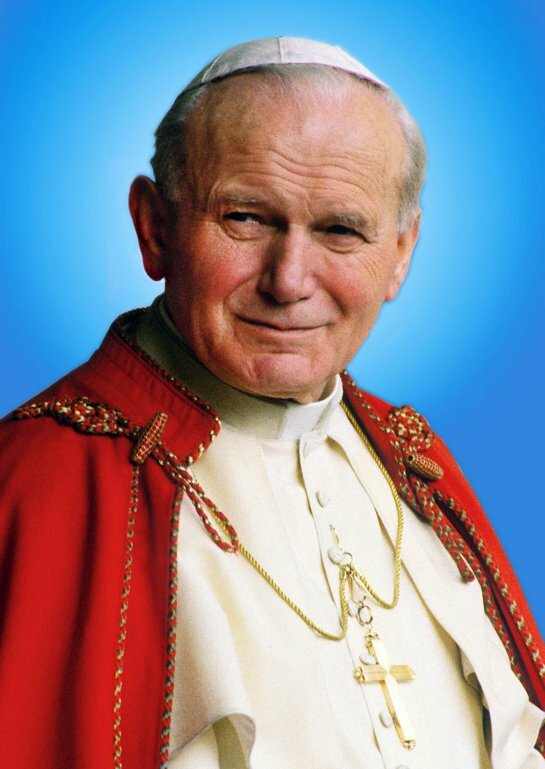 auf den Spuren von Johannes Paul 2, indem man Krakau, Wadowice, wo sich das mulitimediale Museum von Karol Wojtyla befindet sowie Zakopane - wo man seine beliebte Tatra-Gebirge bewundern kann. Wir freuen uns sehr auf eure Anfragen! Another great recommendation from the City Hall in Kraków. 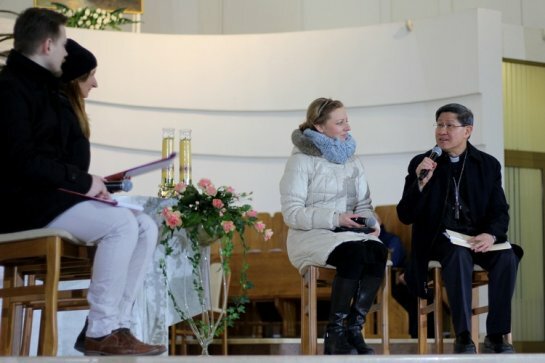 Kraków gives hospitality to His Eminence Luis Antonio G. Cardinal Tagle - Cardinal of Manila who visited Poland this February. Vom Polnischen Fremdensverkehramt haben wir ein Empfehlulngsschreiben erhalten. Es ist noch Zeit Krakau mit uns zu besuchen! mit Vergnügen möchten wir Ihnen Bescheid geben, dass wir jetzt nach dem sehr fleißigen Sommer bereit sind das neue Saison zu eröffnen. Wir stehen Ihnen gerne zur Verfügung und werden auf Ihre Anfrage die Programme und Quotierungen für die Reisen nach Polen (Kulturreisen, Pilgerreisen, Incentive usw.) vorbereiten und organisieren. weitere Leistungen im ganz Europa. Wir planen und quotieren auch schon die Reiseprogramme für 2018 mit Frühbucherrabatt. Wir wünschen Ihnen einen angenehmen Tag und freuen uns schon den Kontakt mit Ihnen aufzunehmen.